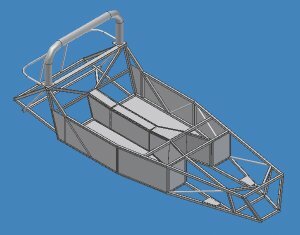 Standard LOCOST 7 Clubman chassis design, as specified in the book, "Build Your Own Sports Car for as Little as 250 Pounds". 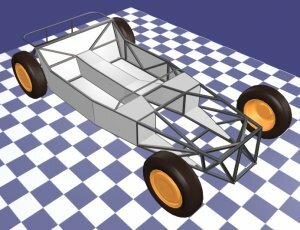 Modified chassis design, to meet the Australian Design Rules requirements (torsion and bending) for a car with a 4 cylinder engine. 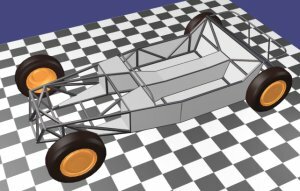 Modified chassis design, to meet the Australian Design Rules requirements (torsion and bending) for a car with a 6 or 8 cylinder engine. 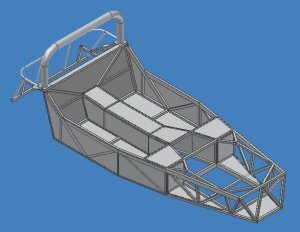 Modified Type 2 chassis design, to allow direct fitment of a Mazda MX-5 rear subframe as part of the structure. 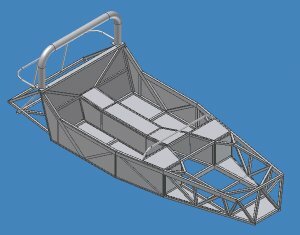 Modified Type 3 chassis design, to allow direct fitment of a Mazda MX-5 rear subframe as part of the structure. 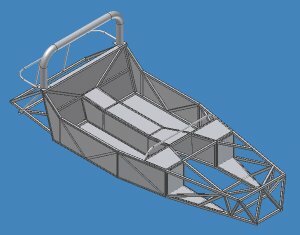 The front structure has also been modified for the Mazda front end. Modified Type 3 chassis design, to allow direct fitment of a Mazda MX-5 rear subframe as part of the structure. 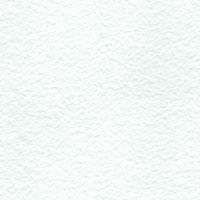 the intention of performing stress analyses on all the designs. 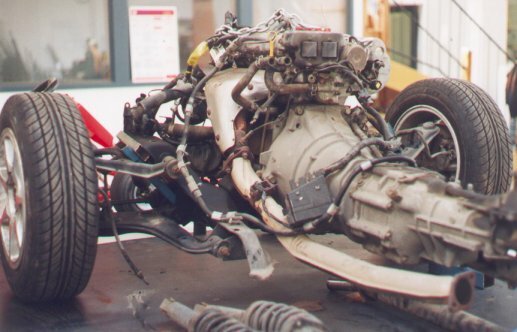 We hope more detailed information on this will be available shortly. 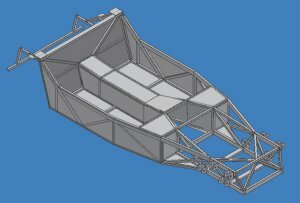 Photographs of the donor vehicle for our first Type 6 chassis are shown below. If this is of interest, you are welcome to contact us for more information.